In 1946, Victor Norman founded the Eastern Connecticut Symphony Orchestra, which he conducted and guided for the next 35 years. George Baziotopoulos led the ECSO from 1981 to 1986. During the 1986-1987 season, we conducted a search for the next music director. Paul C. Phillips was selected from a field of over 220 applicants and five guest conductors. 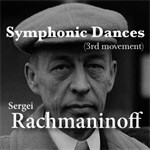 He was the music director for 11 seasons until his resignation at the end of the 1998 season. Subsequently, a nine person search committee was formed and from over 250 submitted resumes selected four candidates as the permanent position of ECSO Music Director. Xiao-Lu Li was chosen and was announced as the new music director at a free community concert on May 26, 1999. After nine years, Xiao-Lu Li departed with fanfare and a great grand finale concert in May 2008. 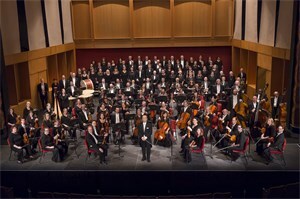 The 2008-2009 Season was a search season, during which six finalists for the position of ECSO Music Director performed. Toshiyuki Shimada was chosen to be our new music director in May 2009. A total of 45% of the ECSO income is earned and 55% is derived from fundraising events, grants, corporate sponsorships and hundreds of individual contributions. The percentages are in line with national averages for arts organizations. The Eastern Connecticut Symphony organization serves the community, reaching children of pre-school age through senior citizens enjoying their golden years. Our music-in-the-schools programs are presented throughout the elementary schools, kindergarten through middle school, in New London, Groton and Norwich. Concerts Annually from September to April, the 75-plus member professional Symphony Orchestra presents six subscription concerts, many of which feature guest soloists. All subscription concerts are performed at the historic Garde Arts Center on State Street in New London. 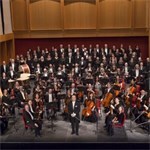 Free lectures, sponsored by the Friends of the Symphony, precede the classic concerts. The Orchestra is also contracted for additional concerts, such as concerts at The Mohegan Sun in the Grand Arena and performances with the Eastern Connecticut Ballet in presentations of "The Nutcracker."